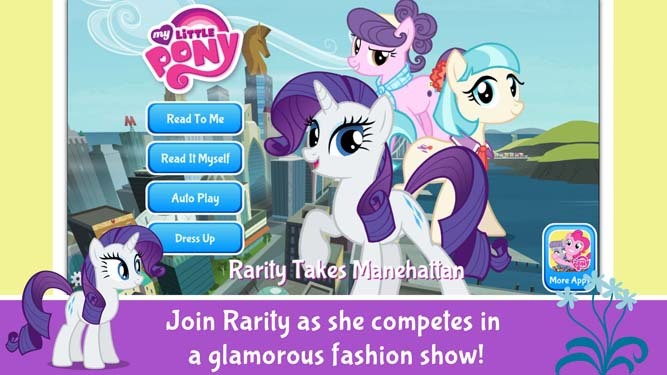 The biggest fashion contest of the year is about to kick off in the bustling metropolis of Manehattan, and it’s Rarity’s chance to shine—an opportunity to take the fashion capital of Equestria by storm with her most fabulous designs and bring her best friends along for the show, and some sightseeing! But when a big-city pony takes advantage of Rarity’s big heart, her dreams could be in trouble, along with her friendships! 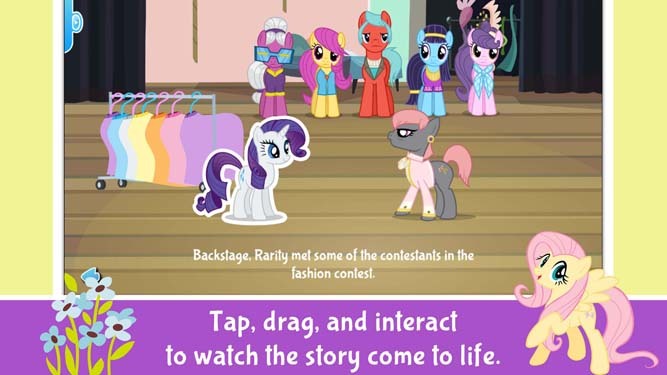 In MY LITTLE PONY: RARITY TAKES MANEHATTAN, Rarity faces the conflict of high fashion vs. friendship, right on the runway! 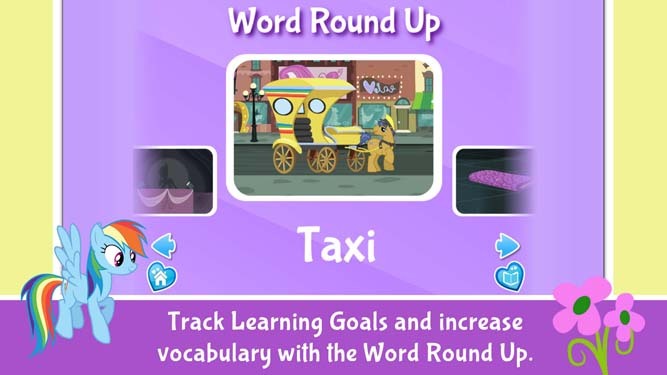 Based on a popular episode from the hit animated series MY LITTLE PONY: FRIENDSHIP IS MAGIC, this whole new kind of interactive storybook app features 18 pages of story, iconic characters, television-quality animation, and interactive dress-up activities perfect for early and emerging readers AND your MY LITTLE PONY fan! Rich, interactive fashion show activity! Channel your inner fashionista—Mix, match, and create a chic look for your runway pony during Fashion Week. 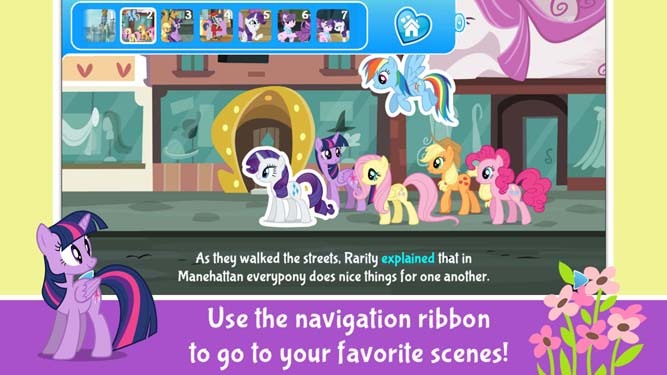 Features everypony’s favorite fillies—Twilight Sparkle, Fluttershy, Applejack, Rarity, Pinkie Pie, and Rainbow Dash—with interactive action and voices on every page! 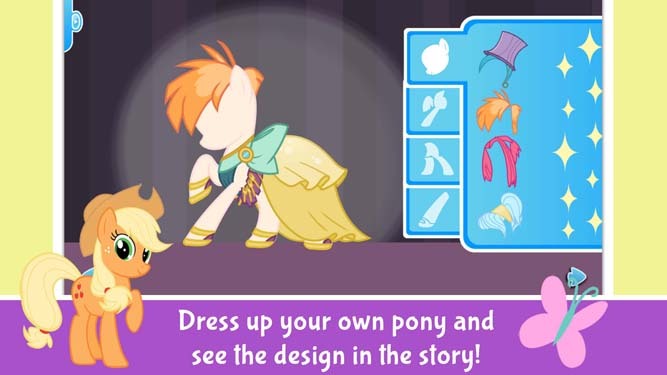 Also featured: Prim Hemline, Suri Polomare, and Miss Pommel.